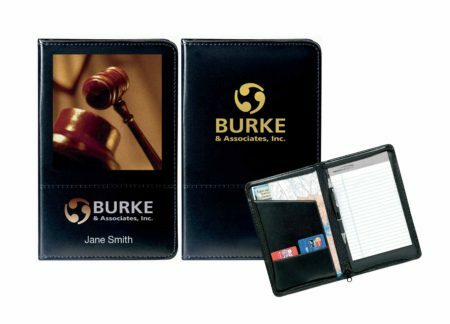 Notes and cards will be kept secure with this conveniently sized zipper padfolio. Front horizontal stitching design and two interior pockets. 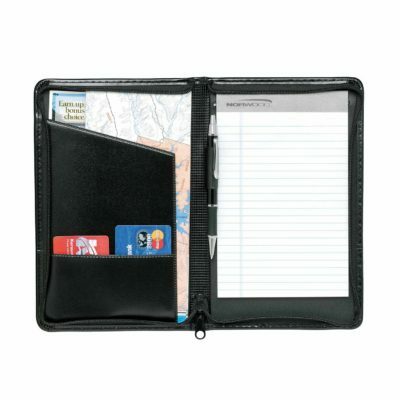 Includes 127mm W x 203mm H writing pad, vinyl pen loop and zip closure.